The survival of over half of the world’s killer whales hangs in the balance because of a highly persistent and toxic class of chemicals. Despite a near total ban on the production of polychlorinated biphenyls (PCB) 30 years ago these carcinogenic and reproductive toxins continue to persist in the environment. PCBs are organochlorine compounds that were first manufactured commercially in 1929, and subsequently used in a range of products throughout the 20th century including electrical equipment, carbonless copy paper and pigments and dyes. Once the environmental hazards and carcinogenic nature of PCBs were recognised, they were banned across the US in 1979 with other bans brought in around the world. 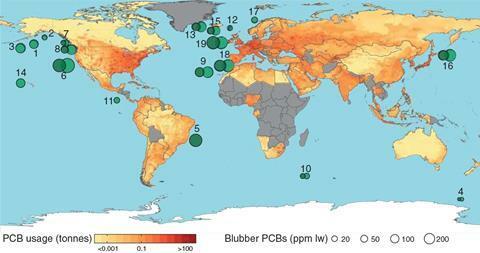 The persistence of PCBs and the extent of the contamination of the world’s oceans is what has led to their accumulation in so many killer whales, in what Bert van Bavel from the Norwegian Institute for Water Research describes as an ‘optimum cocktail’. 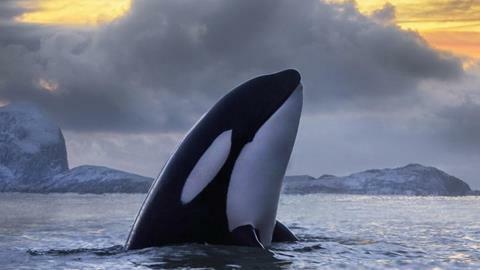 As killer whales are at the top of the food chain, they are among the world’s most PCB-contaminated animals as a result of feeding on contaminated fish and marine mammals. Their fatty blubber is also well-suited to binding the chemical, concentrating PCB levels further.